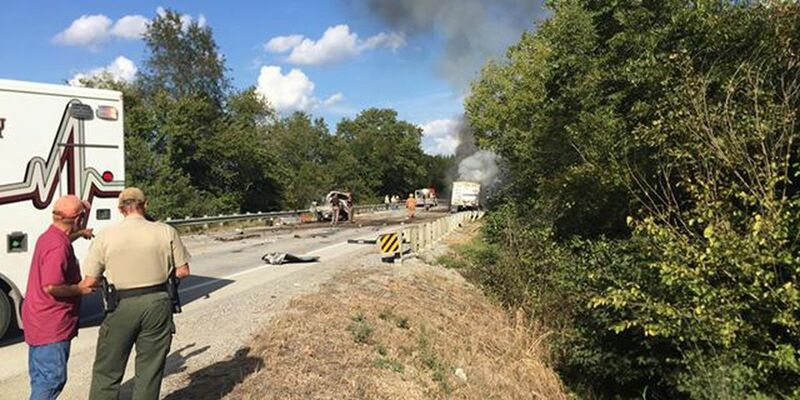 WHITE CO., IL (WFIE) - A crash involving several vehicles has shut down Illinois 141. It happened Tuesday afternoon on the Illinois side, a few miles west of the bridge into Mt. Vernon, Indiana. Illinois State Police say several vehicles were involved, and several ambulances are on scene. A viewer sent in photos of what looks like one of the vehicles on fire.